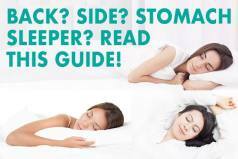 Our next mattress giveaway is a Bolster Sleep hybrid mattress! This hybrid mattress provides the comfort and body hug of memory foam combined with fabric-encased innerspring coils that promote maximum support in the areas that you need it most. Covered with premium cooling fiber made of TENCEL, this mattress sleeps cool and is super comfortable! The Bolster Sleep mattress is a 13″ hybrid mattress with multiple layers of high quality foam, fabric-wrapped coils, and that super soft and cool TENCEL layer that combines to offer an excellent night sleep and make sure you sleep cool and comfortable! The Bolster Sleep hybrid mattress is a great product at a great price – and by entering our giveaway you can win one for free! Our next mattress giveaway is a Level Sleep mattress! This all-foam mattress provide the comfort and body hug of memory foam combined with innovative zoned support areas that promote maximum support in the areas that you need it most. 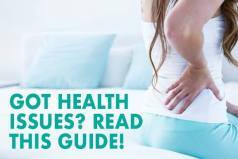 This mattress is recommended by chiropractors for those that need the best support for their back, hips, and neck. The Level Sleep mattress is a 10″ foam mattress with multiple layers of high quality foam, with zoned support layers that together combine to offer an excellent night sleep and make sure you sleep comfortable and pain-free! 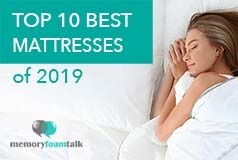 The Level Sleep mattress is one of our top 10 best mattresses, and having tested over 100 mattresses, is a great product at a great price – and by entering our giveaway you can win one for free! Our next mattress giveaway is a Layla Sleep mattress! This all-foam mattress provide the comfort and body hug of memory foam combined with innovative copper-infused foam that promotes cooling and the many benefits copper has – along with the added benefit of being able to flip the mattress over to have a choice of firmness: soft or firm. The Layla Sleep mattress is a 10″ foam mattress with multiple layers of copper infused foam, convoluted foam, and high quality base foam that together combine to offer an excellent night sleep not matter what firmness preference you have! The Layla Sleep mattress is one of our favorite memory foam mattresses, having tested over 100 mattresses, and is a great product at a great price – and by entering our giveaway you can win one for free! Some of these discounts are automatically applied just by clicking the link to the manufacturer below, while others require that you enter a promo code to apply the discount.